[Review of] Mark Ford's "Thomas Hardy: Half a Londoner"
All images other than the first one, of the cover of the book under review, are from our own website. They can be used without prior permission for any scholarly or educational purpose, provided you cite the photographer/source, and link your document to the Victorian Web or cite it in a print one. Click on them for larger images and more information. — Jacqueline Banerjee. Thomas Hardy's death in 1928 was followed by an unpleasant controversy about his body's disposal. His unambiguous wish was that he should be buried in the Stinsford Churchyard, next to the graves of his parents and that of his first wife. But when he died, his literary executor Sir Sydney Cockrell felt that since Hardy had become internationally renowned, he should be commemorated in Westminster Abbey. A compromise was reached and it was decided (with the knowledge and permission of his wife, and siblings) that his heart should be gouged out and buried in Stinsford, and that his body should be cremated in Woking, and his ashes put in a niche in the Abbey. This "butchery," according to Mark Ford in the book under review, "was the unsatisfactory compromise reached in a battle fought between the interests and convictions of London and Dorset" (6). That is how Ford begins to argue his dubious claim that though Hardy is generally regarded as a writer of rural Dorset, his frequent sojourns in the City qualified him as half-a-Londoner. Ford's book is mainly biographical in which he quotes extensively from Michael Millgate's biographical accounts, The Life and Work of Thomas Hardy (1984) and Thomas Hardy: A Biography Revisited (2004), in order to illustrate Hardy's life in the city. Hardy first went to London in 1862 when he was articled to Arthur Blomfield as an assistant architect. Apart from doing his professional work, he went round London, and got to know the city very well. Initially, London struck him as a place of crowds and confusion. Coming from the countryside, he could not identify with the London people easily. They seemed to him to be strangers. But very soon he fitted in with the society and people. He met various women and was charmed by their sophistication and was drawn towards their class. He had, in fact, briefly fallen in love with a couple of women in London, like Rosamond Tomson and Eliza Nicholls. But London made him feel rather self-conscious about his own social status as a countryman. His father was a stonemason, and he himself never went to university. 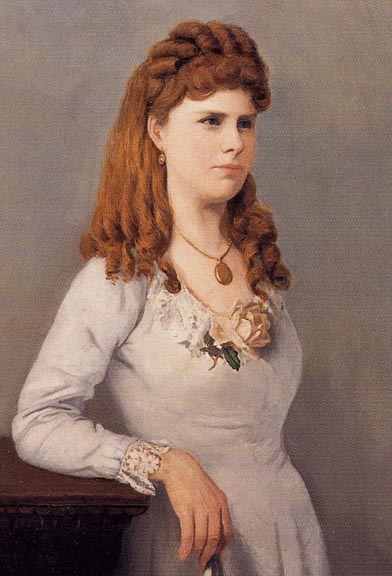 Emma Lavinia Gifford, aged 30 (1870). During a professional visit to Cornwall where he had gone for church restoration work, he happened to meet the rector's sister-in-law Emma Gifford. They fell in love with each other, and decided to get married. But Emma's father, who was a solicitor in Plymouth, did not think much of Hardy whom he called a "country churl" (130). Nor were Hardy's own parents keen on their son marrying outside his class and community. However, both of them were now in their thirties, and they went ahead and got married in Paddington, London in 1874, apparently without the consent of their respective families. The witnesses to the wedding were the bride's brother, and Hardy's London landlady. After their marriage, the Hardys visited London regularly "during the season," which meant about late spring and early summer. Because of Hardy's growing reputation as a novelist, both he himself and his wife got to know titled men and women who often invited them to their dinners and receptions. Ford astutely points out that Henniker was just one of the "London belles who were happy to flirt with a literary lion, but proved maddeningly elusive when pursued further." He goes on to point out the likely possibility that Hardy used his experiences with such women when he portrayed female characters in his fiction. He guesses that the "intense and nervy sexually standoffish Sue Brideshead of Jude the Obscure grew out of Hardy's experience with Florence Henniker (5). However, with the passage of time, Hardy and Florence became friends. They wrote to each other regularly, and she visited him at Max Gate off and on during the rest of her life, until she died five years before Hardy's own death. In view of his frequent visits to London, Hardy lightly remarked in a letter to Edmund Gosse that he felt as if he was "half a Londoner" (qtd. in Ford 13). Unlike the rural Dorset poet-priest William Barnes who never left the district, he was in fact drawn to London. Though he never owned a house in the city, he went there quite often in connection with the publication of his books, and for meeting newly-discovered literary friends. However, despite these dealing with London, his writings were deeply entrenched in his native Dorset. He did write a few novels with their backgrounds in London, but as Merryn Williams pointed out in 1974, "Hardy's adventures in the world of London high society did him little or no good as a novelist. Such books as The Hand of Ethelberta and A Group of Noble Dames, which deal mostly with members of the aristocracy, have never impressed many people in his own time or now" (98). 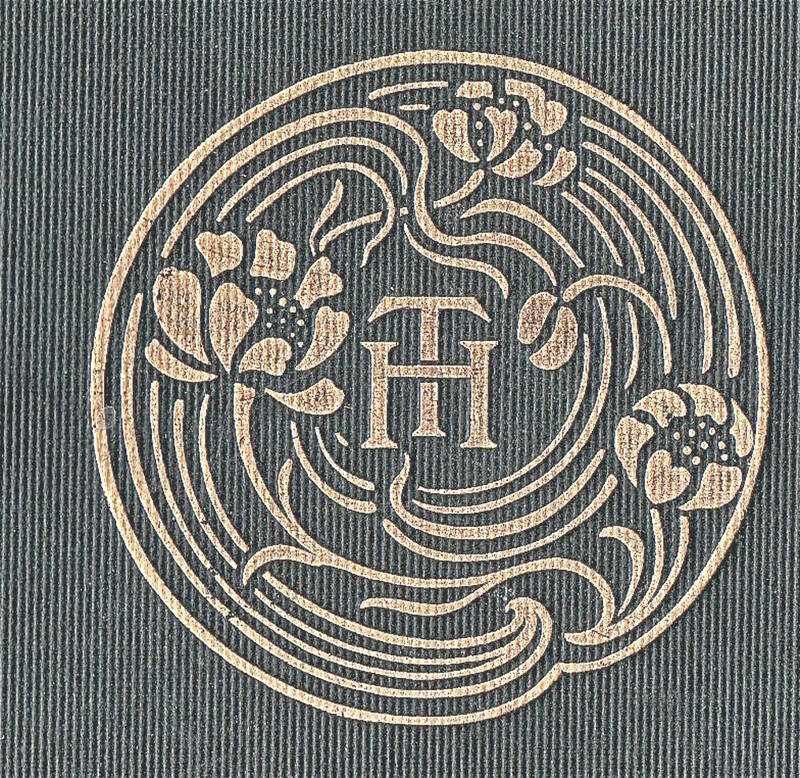 Hardy monogram on the covers of the Osgood, McIlvaine Complete Uniform Edition of the Wessex Novels. Hardy in fact based most of his work in south-west England, which he called Wessex. His family had been living there through generations. Consequently, the settings of his poems and prose were mainly rural. In New Bearings in English Poetry, F. R. Leavis wrote that "Hardy was a countryman, and his brooding mind stayed itself habitually upon the simple pieties, the quiet rhythms and the immemorial ritual of rustic life" (61). Mark Ford admits as much saying that "Hardy is so thoroughly identified with Wessex that to pay attention to the role played by London in his literary development and career can seem at best counterintuitive, at worst beside the point" (9). But, at the same time, he goes on to claim that Hardy's Wessex derives from some kind of the presence of the city, and he quotes from Hardy's letters and biographies to support his contention that the "spectral presence of the city" (11) hovered over his writings. Yet, though Hardy frequently visited London, the city had little effect on his writings. He wrote a few journalistic pieces and some poems while he was in London, but they were rejected. He succeeded in publishing only one humorous short story, "How I Built Myself a Home" in Chamber's Journal (March 1865). This led to Hardy's feeling disappointed with the publishing world and growing hostile towards London society in general. He described his unpublished novel, The Poor Man and the Lady (1867), which he started started to write after his initial sojourn in London, as "a sweeping dramatic satire of the squirearchy and nobility [of] London society" (62-63). As a poet himself, Mark Ford believes that in the field of poetry, Hardy felt more inspired in London, and wrote verses there "with enduring pride" (38). In his first published book of verse, Wessex Poems (1898), Ford claims, he included thirteen poems which he had written in London between 1865-1867 (38). However, as a biographer, Michael Millgate is perhaps more accurate when he says that "most of the poems in Wessex Poems itself were either revised from drafts dating back to the 1860s or conceived and composed during the early or mid-1890s" (356). They do contain references to the city and the contrast between town's crowds and dinginess and the freshness of the countryside, but his better poems like "Hap" (1866) and "Neutral Tones" (1867) are generally about the typically Hardyesque themes of life's sadness and the indifference of God, which he was to develop more fully in his later years. Besides, the poems that Ford discusses in his book are not the ones that Hardy's readers have always admired, and they are not those which have assured Hardy a very high rank among English poets. 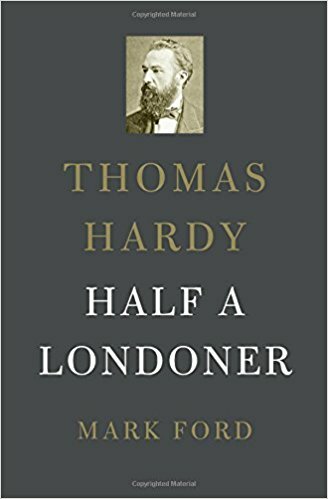 The crucial question surely is how and in what ways London influenced Hardy's characteristic and best writings. Ford is not able to answer this convincingly. He closely analyses the poems that he believes Hardy wrote in London, and even finds similarities with other better-known poets, like John Donne, for instance. But that is a bit of a stretch. 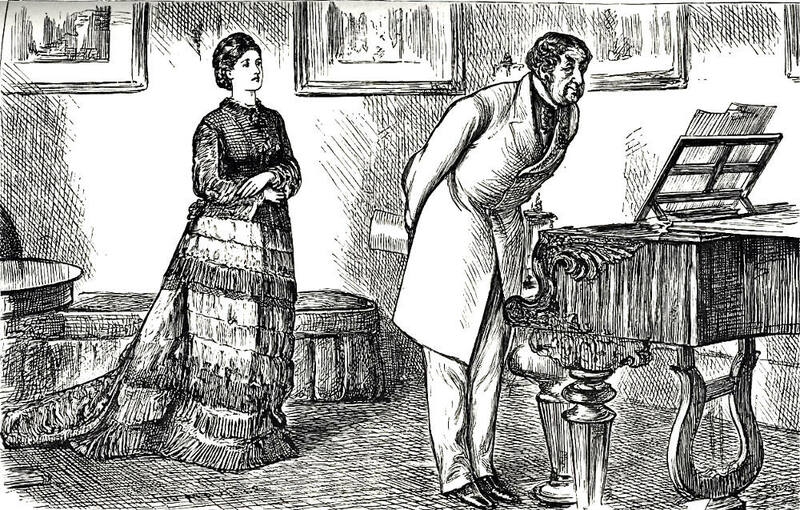 The fashionably attired heroine in the drawing-room, with Lord Mountclere, in one of George Du Maurier's illustrations for the The Hand of Ethelberta. In the second half of the book, Ford returns to Hardy's prose, searching out the writer's references to London. Ford finds that London is referred to several times in Hardy's last published novel, The Well-Beloved. However, D. H. Lawrence had famously dismissed this work as "sheer rubbish, fatuity" (93). Then Ford, predictably, turns to The Hand of Ethelberta (1876), half of which is set in London. After describing the low-born heroine's "reversals and uncertainties" (171) in London, Ford goes on to analyse the novel in tedious detail in two soporific chapters, but has to admit that Hardy was now beginning to have doubts about leaving "[his] own sphere" (165). He went back to writing about the Dorset countryside which he knew best. His subsequent and perhaps best novels like The Return of the Native (1878), The Mayor of Casterbridge (1866), Tess of the D'Urbervilles (1891) and Jude the Obscure (1895), which were mainly set in Dorset, are the typical works of Thomas Hardy, the Countryman. In this respect, he was similar to James Joyce who, despite his long stays in Switzerland and Italy, centred his work on Ireland. [Book under review] Ford, Mark. Thomas Hardy: Half a Londoner. Cambridge, Mass. : The Belknap Press of Harvard University, 2016. xvi + 305 pp. ISBN 9 780674737891. $27.95/£19.50. Hardy, Thomas. The Life and Work of Thomas Hardy. Ed Michael Millgate, London: Macmillan. 1984. Lawrence, D. H. Study of Thomas Hardy and Other Essays. Ed. Bruce Steele. Cambridge: Cambridge University Press, 1985. Leavis, F. R. New Bearings in English Poetry. London: Chatto & Windus, 1932. Williams, Merryn. "One Rare Fair Woman: Thomas Hardy's Letters to Florence Henniker, 1893-1922. Ed. Evelyn Hardy and P.D. Pinion" (Review). The Review of English Studies. XXV/97 (1974): 98-100.